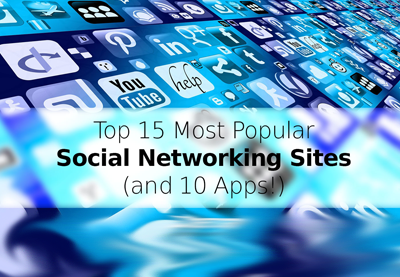 We have compiled a list with 15 most popular sites worldwide. The findings are based on original research which are further. New social media sites are coming and going but these have stood the test of time. We update this list of social media sites with new data as it becomes available. The data in this list combines global and US social media visitors. The actual numbers of monthly visitors are gathered from different sites. We bring you the latest data out there. For smaller networks check List of virtual communities with more than 100 million active users from Wikipedia.